Last fall the Fowler Museum at UCLA celebrated its 50th anniversary with Fowler at Fifty – a suite of eight special exhibitions from its acclaimed global collections. 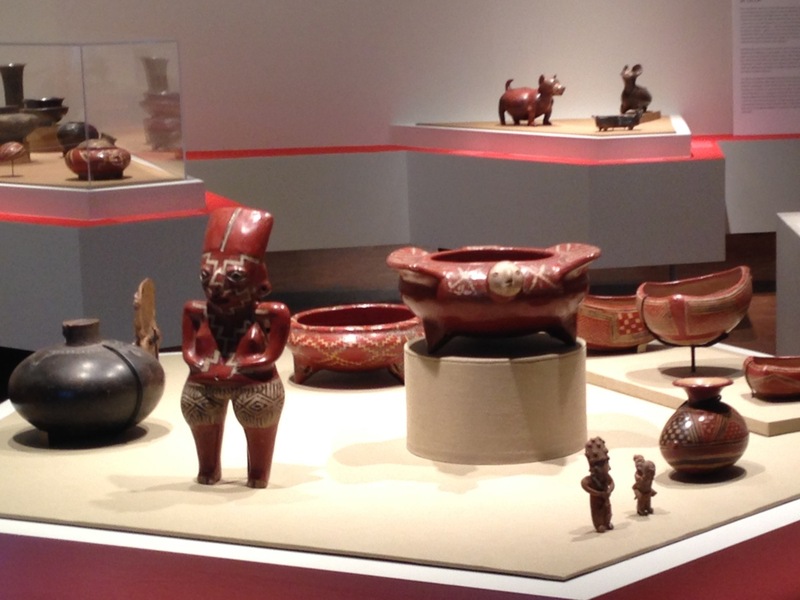 These anniversary exhibitions reflect more than a thousand years of human creativity and innovation, from ancient Mexican ceramics to African Zulu beaded body adornments. You only have two more weeks to see three of my favorite Fowler at Fifty exhibitions that close February 2nd (1-3 listed below). The rest of the exhibitions, 4-6 listed below, will be on view through March 2nd. I hope these exhibition highlights will inspire you to hurry down to the Fowler to experience them for yourself. At the preview, I was completely captivated by the artist Amalia Mesa-Bains and her installation New World Wunderkammer. 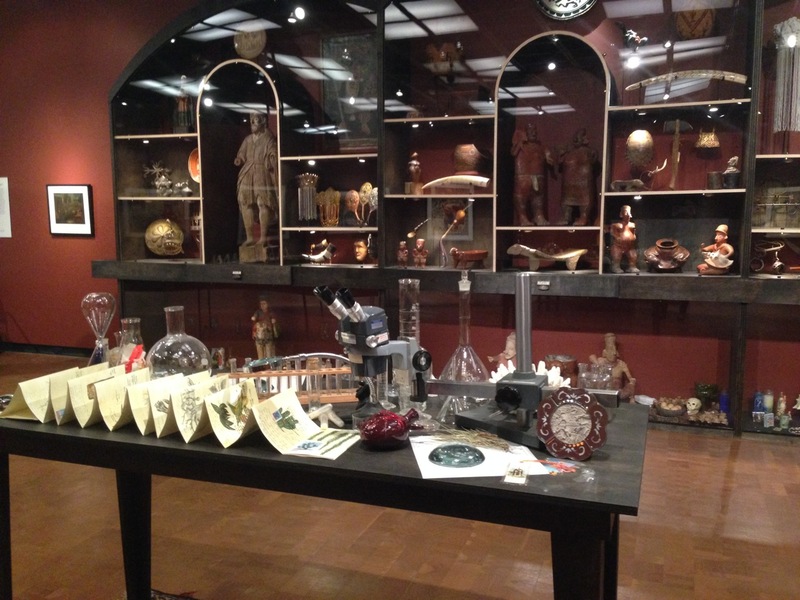 Mesa-Bains created her “room of wonder” by blending together objects from the Fowler’s collection and her personal collections and family mementos. Her beautifully designed “cabinet of curiosity” depicts the New World as a collision of cultures that resulted in the mixing of European, African (through the slave trade), and indigenous American peoples. Actress Natalie Wood gave the Fowler Museum this remarkable collection of ancient Mexican ceramics in 1969. Although the ceramics are thousands of years old, their bold patterns fit right in with today’s modern aesthetic. Kids will enjoy their unique shapes too, especially the animal-shaped vessels. These striking textiles made by ancient Peruvian weavers blew me away. Master weavers created the cloths and garments without ever cutting a thread. Incredibly, some of the brightly colored textiles retain their original vibrancy (see above) even though they date back to Pre-Columbian times and were made only with natural dyes. This exhibition features more than 250 carved twin memorial figures made by the Yorùbá peoples of Nigeria. The Yorùbá have one of the highest rates of twinning in the world. They believe that twin children are special and sacred, both in life and death. UCLA graduate students co-curated this exhibition that explores the history of the Fowler Museum. You’ll find lots of interesting objects from around the world; including the first item to enter the collection, a Balinese textile. I loved how they stacked the Northwest Coast boxes pictured above. The unique display demonstrates the exhibition’s theme of how objects take on new meaning when placed in a museum setting. What are your favorite Fowler at Fifty exhibition/objects? Leave a comment and let me know, and share this post with your friends and family. See you in the galleries! The Fowler Museum is open Wednesday-Sunday from noon-5 pm. Admission is free (but not parking). Don’t be put off by the Museum’s on-campus location. Enter the UCLA campus at the Sunset and Westwood Blvd. gateway and you’ll find parking near-by in UCLA Parking Structure 4. 1. Amalia Mesa-Bains standing in front of her installation New World Wunderkammer, Fowler Museum of UCLA. Photo by ©Museum Stories 2013. 2. New World Wunderkammer; A Project by Amalia Mesa-Bains, 2013. Photo by ©Museum Stories 2013. 3. Chupícuaro: The Natalie Wood Gift of Ancient Mexian Ceramics. Photo by ©Museum Stories 2013. 5. Twin memorial figure (ere ibeji). Yorùbá peoples, Nigeria; mid-20th century; Fowler Museum at UCLA. Photo by ©Museum Stories 2013. 6. 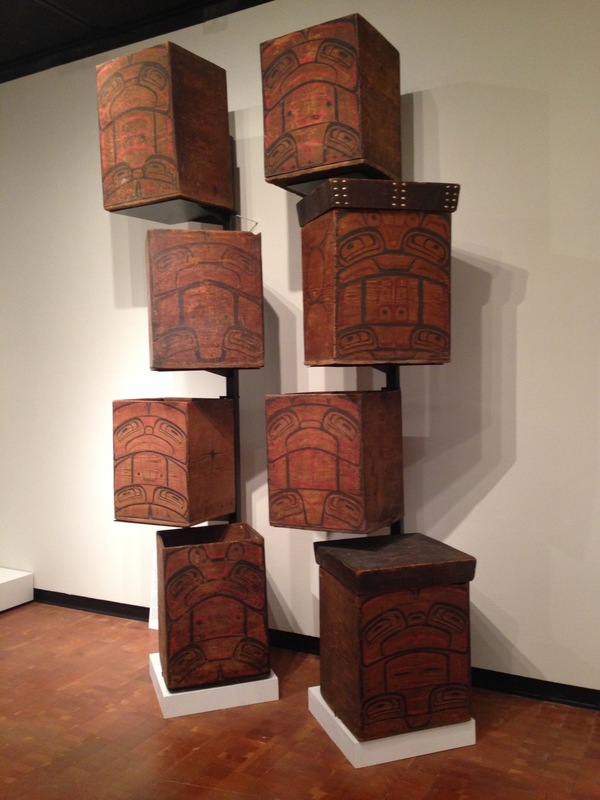 Boxes and Lids, Northwest Coast, United States/Canada: Mid 19th Century; Fowler Museum at UCLA.